This 3704+/- S.F. Home has so much to offer, it has 4 Bedrooms, 4 Full bathrooms (3 master suites). Plus an office. All bedrooms have ceiling fans, blinds and drapes. 2 Car garage on more than a quarter of an acre corner lot, 0.38 Acres. Tile and Carpet throughout the home. Kitchen features granite counter tops with wood cabinets enter into the family room that has a Fireplace and sliding doors to the enclosed sun-room that is heated and cooled. The main Master bedroom has a fireplace, jetted tub, shower stall and double sink vanity also included a nook with view of the mountains. Two A/C units. Double pane windows. 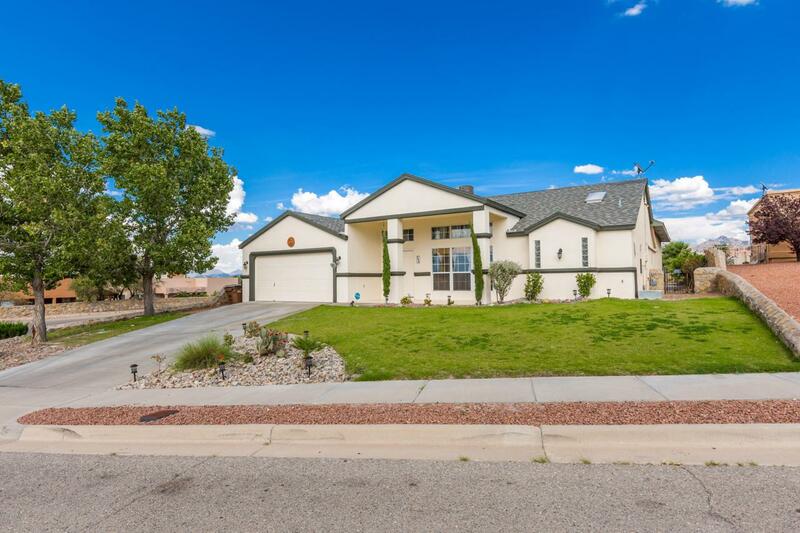 Ample space in the backyard with a basketball court overlooking the Organ Peak National Monument Mountains. Strategic location near Shopping centers, schools, Restaurants and Hospitals in the Sonoma Ranch Blvd area, with easy access to I-25 and I-10.